-- Please Select --Unsure (to confirm) UK SIZE J UK SIZE J 1/2 UK SIZE K UK SIZE K 1/2 UK SIZE L UK SIZE L 1/2 UK SIZE M UK SIZE M 1/2 UK SIZE N UK SIZE N 1/2 UK SIZE O UK SIZE O 1/2 UK SIZE P UK SIZE P 1/2 UK SIZE Q Ring size not shown? Contact us for a quote. 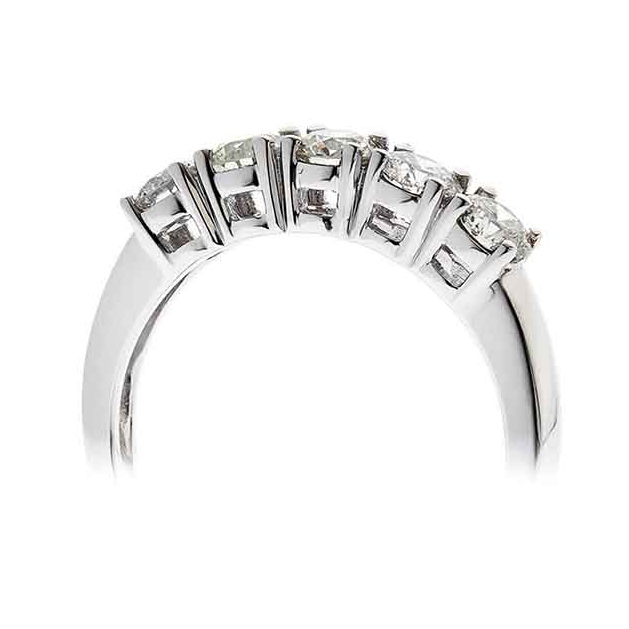 This beautiful five stone ring features a single row of 5x four claw set round brilliant cut diamonds. 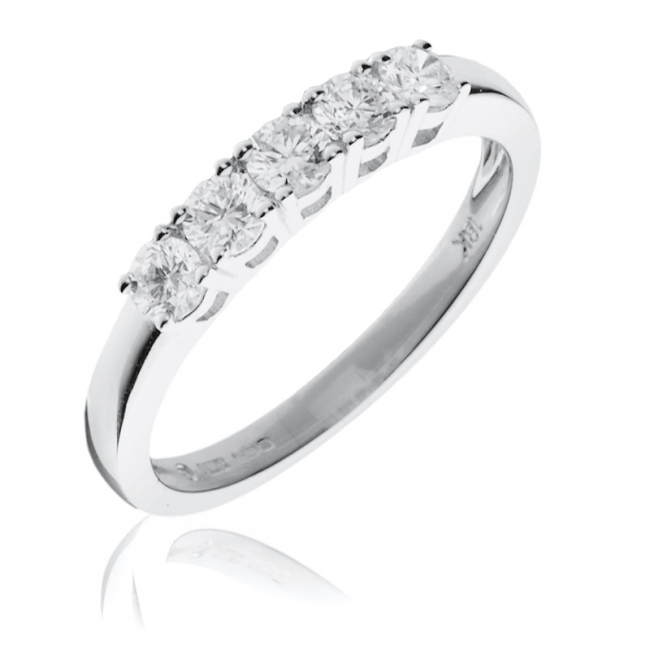 This high quality piece is crafted from 18k White gold using at least G colour SI Clarity diamonds. Delivered free with luxury wooden gift box, authenticity certificate, EDR diamond certificate and a full 12 month guarantee.